Jansen Photo Expeditions provides high-quality small group and private photography workshops throughout California, the American West, Iceland, Costa Rica and beyond. We bring you to the most amazing locations around the world to create stunning landscape images while giving you the optimal photographic and travel experience. 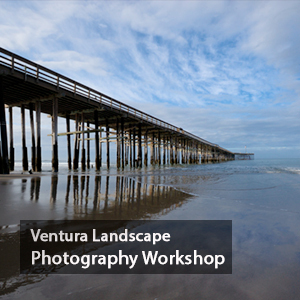 Join us on Ventura, California and photograph the beautiful pier, with stunning ocean vistas. 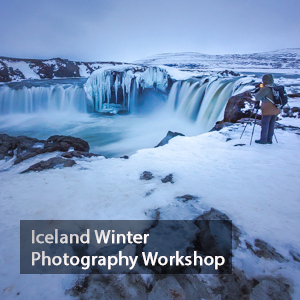 This is a basic landscape photography workshop. Enjoy this small group size with no more than 6 participants. 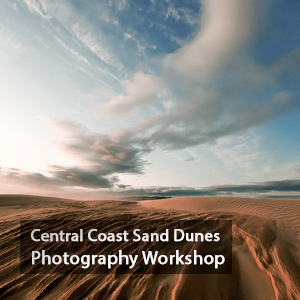 We will be exploring the sand dunes at sunrise and sunset to capture the light at just the right time. Photograph dramatic sand dunes, colorful sunsets, and hidden beaches. 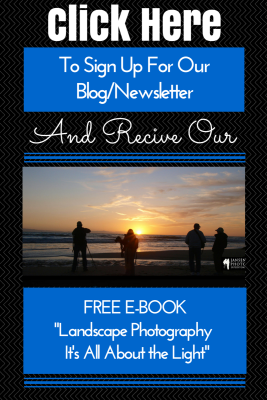 Enjoy a small group of 4 – 6 creative photographers. 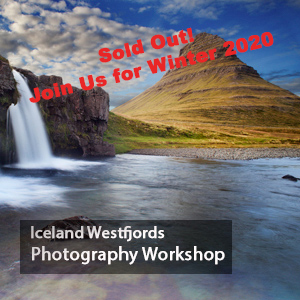 Join us in spectacular Iceland and explore breathtaking locations in some of the most remote areas Iceland has to offer. This unique experience will take our group to the west coast and Westfjords areas of Iceland. No more than 6 participants on this workshop. 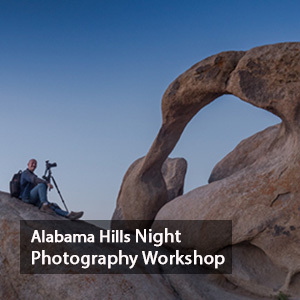 Join us in the Alabama Hills of the Eastern Sierra and learn to create beautiful night sky compositions. This workshop takes place during a large meteor storm with opportunities to shoot the milky way and meteors. No more than 6 participants on this workshop. Join us in incredible Yosemite and experience this beautiful park in full fall colors. Discover incredible mountains, flowing waterfalls, and the wildlife as they make way for winter. We will be shooting not only the iconic vistas, but also little known areas for the dedicated landscape photographer. 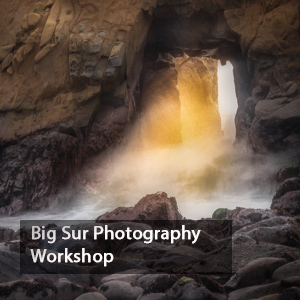 Join us in incredible Big Sur and experience not only this amazing winter solstice shot but also discover the hidden places of the California coast. We will be shooting not only the iconic vistas, but also little known areas for the dedicated landscape photographer. Join us in incredible Iceland and experience this other worldly country. We travel the country photography incredible mountains, flowing waterfalls, and the chance to see the Aurora Borealis. We will be shooting not only the iconic vistas, but also little known areas for the dedicated landscape photographer. 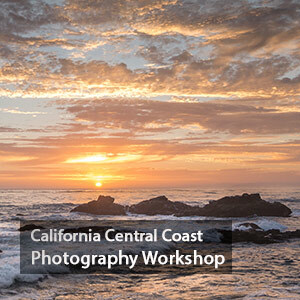 Join us on the Central Coast of California and photograph beautiful harbors, stunning ocean vistas, and wildlife galore. 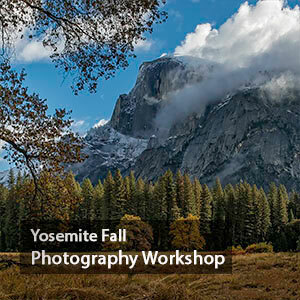 This is a landscape and wildlife photography workshop. Enjoy this small group size with no more than 6 participants.